How are ML Models Trained? How can developers learn different approaches to solving business problems? How can we race model cars on a global scale? Todd Escalona (Solutions Architect Evangelist, AWS) joins Simon to dive into reinforcement learning and AWS DeepRacer! Rate us on iTunes and send your suggestions, show ideas, and comments to awspodcast@amazon.com. We want to hear from you! 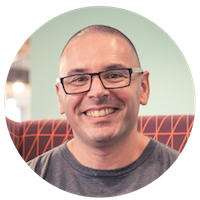 Simon Elisha is Head of Solution Architecture, Public Sector for ANZ, and a long-time Amazonian, passionate about helping customers get the most out of cloud technology. A pragmatic technologist at heart, Simon holds an Honours Degree in Information Systems from Monash University. Follow him on Twitter at @simon_elisha.